Welcome to our company website. We specialize in finding and reporting on events in Hawaii. In today’s fast pace world of entertainment, it is important to focus on what you are the best at. To keep your research time into finding out what to do in hawaii to the minimum, will mean that you will have time to do other tasks such as relaxing or cooking dinner, or going to work. That is what we are here for. We take all the work out of finding out whats going on so that you can focus on the rest of your life. This will improve the usage of your time and let you be at ease that you are getting a full scope what whats happening in Hawaii. We based our business on providing a personal service that is both fast and accurate and structured in a way so that your research time is kept to minimum. All of our staff are highly dedicated, and work for the good of 808tonight and the good of the community of locals and tourists alike. There are a number of event websites in Hawaii, that provide a good service. Many of these are large companies, and with larger companies we find that the personal touch tends to be neglected a little. The service that we provide is very consumer focused and we know that you need up to date information as soon as its available. Our Event office is based in the center of the city of Honolulu. Our clients are welcome to visit us for discussion about any topic relating to events. If you would like to talk about setting up a new account, we would love to see you. We deal with all types of businesses ranging from small home based promoters, to corporate entities. 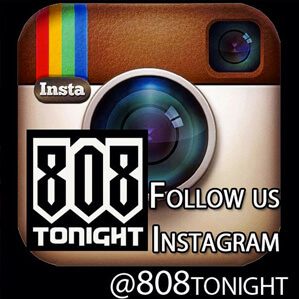 Please take a look at the video below of what 808 Tonight can offer you. We would love to hear from you so that we can offer you our assistance. We can come to you if you don’t have time to visit us, or alternatively, you are welcome to visit our Hawaii office. Please call us today, or send us an email by using the Contact Us email form. Find out more about events and event websites based in Hawaii.